Living on sloped land means needing to be creative about garden design. This retaining wall in Millis, Mass takes advantage of a two and half foot grade change from the driveway to the front yard by adding a stone retaining wall with granite steps going right through it. 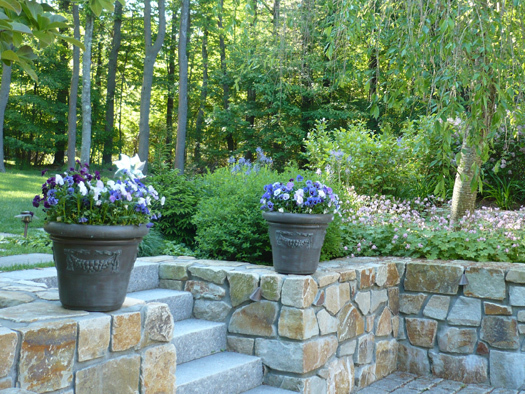 The planters filled with spring annuals along with trees, shrubs and perennials makes this transitional area a beautiful focal point in the landscape.